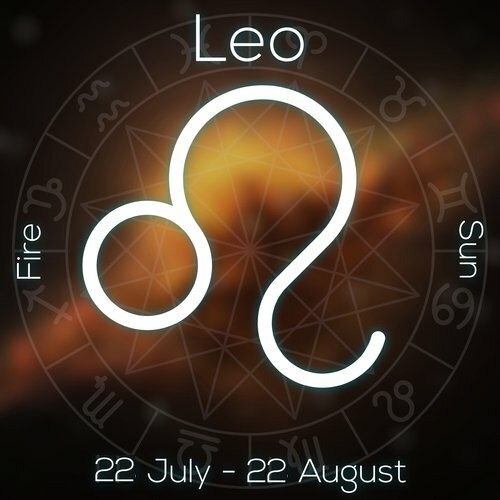 LEO is a fire sign, proud, shy, demanding, and wounds easily. You need encouragement to shine brightly, yet won’t always ask for it. Your cause is to educate, serve and protect the children, or entertain the masses, and help others to advance their wisdom. MUNDANE Leo, you have a way of making others feel inadequate. You can become too dictatorial (like a director) if you don’t get your way. Your inner wound—believing that you’re not enough or that you’re too inadequate—runs deeper than anyone will ever truly know. ESOTERIC Leo. You give and give. But so uncomfortable receiving because you’re very sensitive and wound easily. In your mind, it’s better to receive by giving. It’s how you learn to feel like you’re enough. You’re a very involved parent, aunt or uncle… from running the PTA to carting kids around for soccer games! Your creative mind brings laughter to every event. Even if you’re not a certified teacher, you are a wonderful teacher. You’re great at entertaining (once you’re comfortable, you do love the spotlight and how it feels to make others laugh)! You give great big hugs, too. Please be aware of your spine (support system) and your heart (flow of love). Give to yourself as much as you give to others and you’ll feel great. Once you realize that you ARE enough, and share who you are, you stop looking for validation and receive your due. When Leo is on the rise, the Sun guides the general theme of a person’s astrological chart. The Sun represents the primary focus, the father, masculine energy, the ego and the egocentric, or the center. 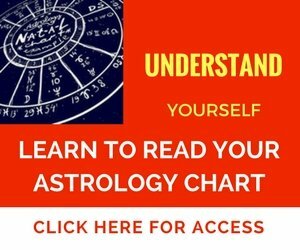 There are very distinct aspects to your Rising sign. You can walk into a room and want to run the show, yet sometimes you’d rather rule from the outskirts. You can be fun, engaging, yet removed and protect yourself from too much exposure. Perhaps deep down, you fear getting burned? Your heart’s desires run deep, but you don’t always express those deeper fears. When you hold in way too much (for fear of letting it out and possibly harming another), you might lean towards dictatorial or controlling behavior. It’s not comfortable for you to accept responsibility for causing discomfort or harm and you could appear detached from your situation. When you feel wounded, you might assess blame through defenses. Like a lion roaring when they’ve got a thorn in their paw. Leo Rising sign is referred to as the King or Queen of the Zodiac. On your worst days, you’ll only call others when you need something from them. On your best days, you won’t allow others to give to you and set your course on service. If you allowed yourself to be more accessible emotionally, with a small, trusted group, you’d start to bridge that extreme gap between giving and receiving. You can be congenial but don’t allow too much intimacy. You lead your community, family and friends with zeal and seek solutions, regardless of your own needs. You know… you need a hug more than you realize! It’s key for you to allow yourself to be nurtured, to let go of the control and to feel what’s it’s like to be humbled. Your light won’t burn out, promise! In moments like these, you’ll find a greater connection to your spiritual center instead of the ego center. You’re often concerned with children’s issues or helping women become independent. Many times this stems from a difficult relationship to your mom, and as a result, witnessing your mom take on too many burdens. You exude magnetism and it can make you self-conscious and self-aware, leading to shyness. Your notoriety reaches far and wide. When injustice spills into your world, you’ll roar to bring attention to the cause. Drama comes naturally to you. You can become a powerful orator, politician, actor, entertainer, health care practitioner, astrologer, and lobbyist. You have a way of bringing harmony and sense to intellectual matters through your endless enthusiasm! Self-love practices such as meditation, healthy heart diets, dancing, and group organizations where you can feel needed, express your creative side, and corral the children! Drama clubs, lots of massage, chiropractic work or emotive counseling helps you to bring up the emotion and let it out in a safe environment. Your spine, bones, joints, need extra protection as you age. I am enough. I love myself and recognize that same love in others. Notable Leo Rising Signs—Justin Timberlake, Robert Downey Jr., Elton John, Marilyn Monroe, Celine Dion, Muhammad Ali, Al Gore, Maya Angelou, James Woods, Sergie Rachmaninoff, Andrew Lloyd Weber. You’re very artistic and intuitive, but have a tendency to hold your feelings until you either explode or attract angry people. It’s okay to express and be safe. Your perception of mom, alas, is a deeply wounded one. Either mom was a victim, had suppressed rage, or was selfish, resulting in a constant invalidation of you and your feelings. If you cried, you mom might have said, ”Why are you crying? There’s nothing to cry about,” thereby invalidating your core feelings. You might have become clingy with lovers, asking for attention to be validated on some level. This makes you dependent and lean toward addiction in your early years. Or with others, you might attempt to become the parent to feel indispensable, needed. You do love to dote on family and friends! Be aware, though, you’ll sink your money or energy into everyone else, but you may not see a return until you really start to trust that YOU ARE ENOUGH. Once you start to feel great about the dinner you just made or the jacket you’ve just sewn WITHOUT TELLING OTHERS WHAT YOU’VE DONE then you’re on your way to being recognized by self, first, then the world.